Sorry about this. It was a bug introduced in the last update while we were trying to fix the keypad Chinese entry. We have a fix coming, hopefully in a day or two. Hey, McCormack. 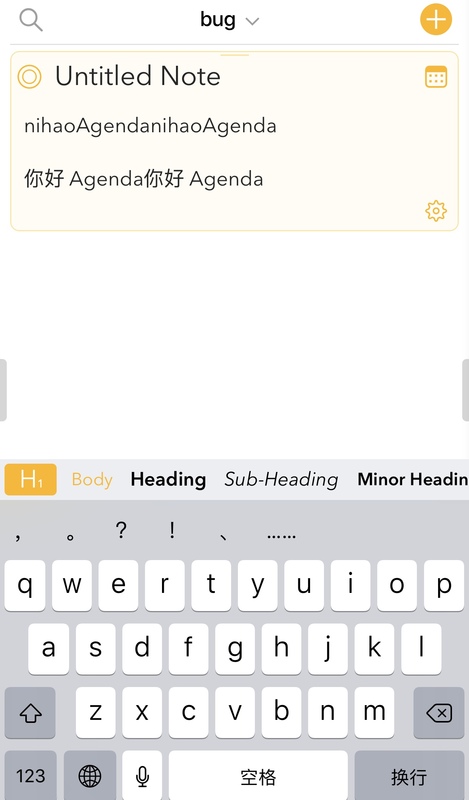 Mac version also has a similar problem.When I paste Chinese in Agenda, not all but some text would repeat. I don’t know whether you have found this. I am willing to provide more detail if need. Japanese has the same Problem. We just released version 4.1.1 that should fix this issue, it should become available in the App Store within the next few hours. Thanks for reporting the issue to us and apologies for the inconvenience it has caused. No, I have not heard of this on the Mac yet. Can you give more detail? Perhaps some steps I can follow to reproduce it, or a video? Checked again, copy from PDF and paste on system Note, also contains duplicated words, maybe it’s system problem. I report two emoji issues, when I want to delete a emoji. Sometimes the emoji becomes garbled and sometimes Agenda will be crashed. look at the emoji issue I wrote before. We will investigate the emoji issue. Looks like it happens at the start of the note, when you delete, correct? 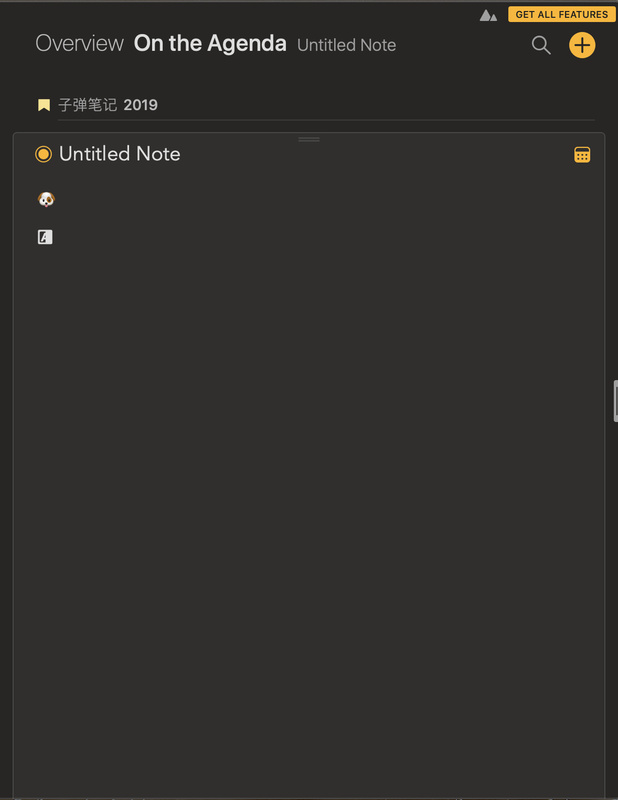 Right, tried again.Delete the start emoji of a note, Agenda will be crashed and delete other position’s, it becomes a garble. There is an editor issue that appeared in 4.1.1 which can garble text. We have sent a fix to apple. Hopefully available today. Sorry for the trouble. Quick update: the 4.1.2 update that fixes this issue is now available, could you give that a try? Sorry, the issue still exist. Which issue do you mean? 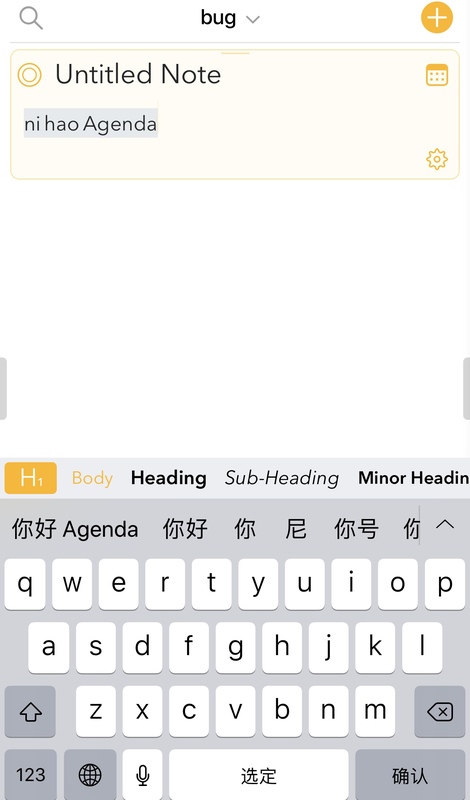 The current 4.1.2 release should work with the standard Chinese/Japanese keyboards, but it will not work with the keypad entry. That one will still produce double characters. The good news is that I have now fixed this too, in our internal version. It will be in beta very soon, and probably available next week in the store. Funny, I haven’t noticed any issues with entering Chinese on either iOS or the Mac. But I have noticed issues with emoji not looking quite right, but at the moment I can’t recall what happened exactly so I can’t provide any more detail right now.